Chem-Tech® is the latest generation of Chemical Splash Suit fabrics with a breath-able hydrophilic PTFE laminate. Elliotts range of Chem-Tech® Chemical Splash Protective Clothing is made from a high performance, high quality 5 layer breathable fabric manufactured specifically for the requirements of chemical splash protection. CHEM-TECH® Coverall with Silver Reflective Trim are made from CHEM-TECH® fabric, which allows vapour to transfer through the fabric while preventing penetration by a variety of chemicals. CHEM-TECH® Chemical Splash clothing allows your body to "breathe" so your sweat can evaporate, reducing the possibility of heat stress. CHEM-TECH® Coverall with Silver Reflective Trim are made from CHEM-TECH® FRAS (Anti-static flame retarded) fabric, which allows vapour to transfer through the fabric while preventing penetration by a variety of chemicals. CHEM-TECH® Chemical Splash clothing allows your body to "breathe" so your sweat can evaporate, reducing the possibility of heat stress. CHEM-TECH® Coverall with hood designed to fit full face mask. Made from CHEM-TECH® fabric, which allows vapour to transfer through the fabric while preventing penetration by a variety of chemicals. CHEM-TECH® Chemical Splash clothing allows your body to "breathe" so your sweat can evaporate, reducing the possibility of heat stress. CHEM-TECH® Coverall with Reflective Trim and hood designed to fit full face mask. Made from CHEM-TECH® fabric, which allows vapour to transfer through the fabric while preventing penetration by a variety of chemicals. CHEM-TECH® Chemical Splash clothing allows your body to "breathe" so your sweat can evaporate, reducing the possibility of heat stress. CHEM-TECH® Coverall with hood designed to fit full face mask. Made from CHEM-TECH® FRAS (Anti-static flame retarded) fabric, which allows vapour to transfer through the fabric while preventing penetration by a variety of chemicals. CHEM-TECH® Chemical Splash clothing allows your body to "breathe" so your sweat can evaporate, reducing the possibility of heat stress. CHEM-TECH® Coverall with Reflective Trim and hood designed to fit full face mask. Made from CHEM-TECH® FRAS (Anti-static flame retarded) fabric, which allows vapour to transfer through the fabric while preventing penetration by a variety of chemicals. CHEM-TECH® Chemical Splash clothing allows your body to "breathe" so your sweat can evaporate, reducing the possibility of heat stress. CHEM-TECH® Chemical Splash Jacket. Made from CHEM-TECH® fabric which allows your body to "breathe" so your sweat can evaporate, reducing the possibility of heat stress. CHEM-TECH® Chemical Splash Jacket with Reflective Trim. Chemical protective clothing made from CHEM-TECH® fabric which allows vapour to transfer through the fabric while preventing penetration by a variety of chemicals. CHEM-TECH® Chemical Splash clothing allows your body to "breathe" so your sweat can evaporate, reducing the possibility of heat stress. 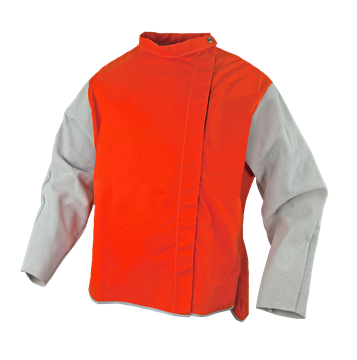 CHEM-TECH® FRAS Chemical Splash Jacket are made from CHEM-TECH® FRAS (Anti-static flame retarded) fabric, which allows vapour to transfer through the fabric while preventing penetration by a variety of chemicals. CHEM-TECH® Chemical Splash clothing allows your body to "breathe" so your sweat can evaporate, reducing the possibility of heat stress. 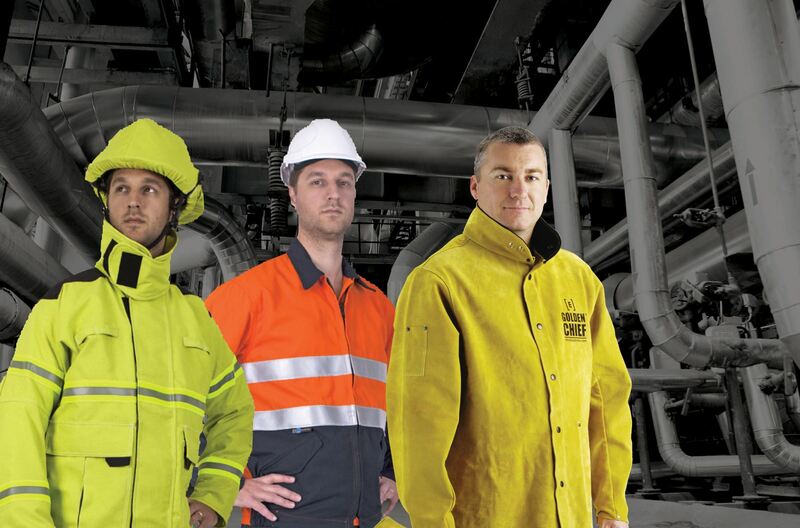 CHEM-TECH® FRAS Chemical Splash Jacket with Reflective Trim are made from CHEM-TECH® FRAS (Anti-static flame retarded) fabric, which allows vapour to transfer through the fabric while preventing penetration by a variety of chemicals. CHEM-TECH® Chemical Splash clothing allows your body to "breathe" so your sweat can evaporate, reducing the possibility of heat stress. Chrome Leather Welder's Bib, a quality protective clothing from Elliotts made with heavy duty chrome split leather. 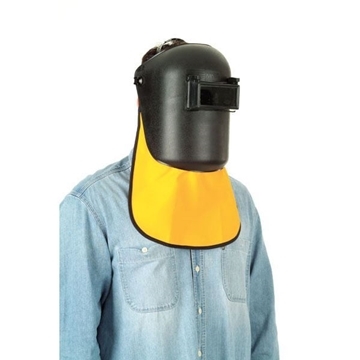 The Elliotts Yellow/Gold Proban® Welding Bib is used for attaching into a welding helmet to provide extra protection. Made from 320gsm Proban® (100% cotton treated with Proban). The welding jacket has a rear opening with Hook and Loop closure for safety harness accessibility in addition to the extended back for extra protection and has a off set Hook and Loop closure for extra durability. The addition of chrome leather sleeves offers extra durability for the sleeve area which is usually destroyed first by welding spatter and dross. Extra long hood with side gussets for a more comfortable fit and a draw string closure around the face to ensure maximum protection. 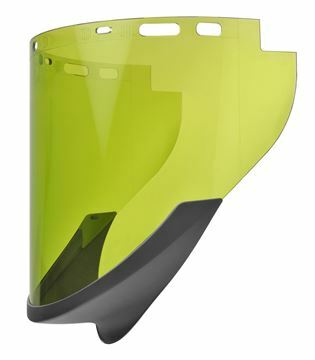 For head protection, to be worn underneath your welding helmet. Made from 100% treated with Proban. Cool and comfortable. 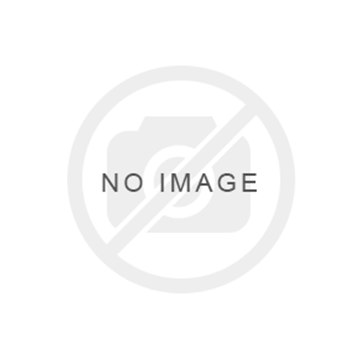 Elliott aprons are made from heavy duty chrome split leather which is extremely durable, flame resistant and offers excellent protection from welding spatters and dross. Leather is extremely strong wearing and protects your workwear not only from the hazards of welding but also abrasion, fluids and general wear and tear. Elliott aprons are made from heavy-duty chrome split leather which is extremely durable, flame resistant and offers excellent protection from welding spatters and dross. Leather is extremely strong wearing and protects your workwear not only from the hazards of welding but also abrasion, fluids and general wear and tear. Elliott aprons are made from heavy-duty chrome split leather which is extremely durable, flame resistant and offers excellent protection from welding spatters and dross. Leather is an extremely strong wearing material and protects your workwear not only from the hazards of welding but also abrasion, fluids, and general wear and tear. The WAKATAC® high visibility welding jacket with chrome leather sleeves is 762mm long and made from WAKATAC® Proban®. The jacket has an extended back for extra protection and has an off-set Hook and Loop closure for extra durability. The addition of chrome leather sleeves offers extra durability for the sleeve area which is usually destroyed first by welding spatter and dross. Heavy Duty Chrome Leather Welder's Leggings fitted wth 3 cane supports, elastic top, fibre board toe guard, and chains under boot. Designed to offer extra heavy duty protection to your lower legs and feet. The leg/ shin area is reinforced with heavy duty plastic strips and the foot is protected with a hard fibre board toe/ metatarsal guard. The Z49 Wet Weather Jacket is designed with unique sleeve construction that allows for maximum movement, and a waist draw strong for close fit. 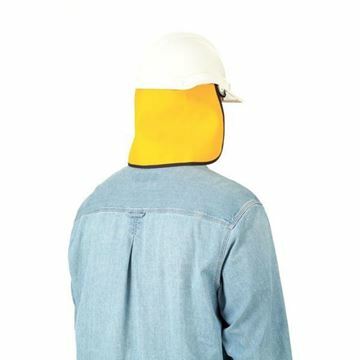 The E Series Structural Fire Coat Nomex NK230 Outer Shell with T-Gard III Plus Thermal Liner has been designed for providing ease of mobility & minimum coat rise. The E Series Structural Fire Coat Nomex NK230 Outer Shell with T-Gard III Plus Thermal Liner has been designed to ensure ease of mobility & minimum coat rise. The ArcSafe® T40 Arc Flash Switching Gloves are inherently flame resistant, providing protection against electrical arc flash, and flash fire. The ArcSafe® T9 Arc Flash Switching Gloves are inherently flame resistant, providing protection against electrical arc flash, and flash fire. Kit Includes Tecasafe Coverall with Reflective Trim, CarbonX Balaclava, ArcSafe Elvex Faceshield, Hard Hat, Protective Eyewear and Gear Bag. Kit includes T40 Hood, Coat and Leggings. 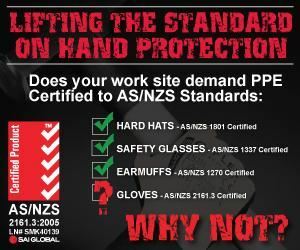 T40 Gloves, Safety Glasses and Gear Bag. Elliotts ArcSafe Switching kits provide the perfect solution for the total Arc Flash Switching system. Kit includes T9 Hood, Coat and Leggings. T9 Gloves, Safety Glasses and Gear Bag. Elliotts ArcSafe Switching kits provide the perfect solution for the total Arc Flash Switching system. Kit includes T40 Hood, Jacket and Trousers, T40 Gloves, Safety Glasses and Gear Bag. Elliotts ArcSafe Switching kits provide the perfect solution for the total Arc Flash Switching system. Kit includes T9 Hood, Jacket and Trousers. T9 Gloves, Safety Glasses and Gear Bag. The WAKATAC® QuarterBack Welding Jacket has been designed using quality WAKATAC® Proban® and soft chrome leather. The Tecasafe® plus FR Trousers feature Electrical arc flash & flash fire protection, while also being extremely comfortable to wear. Tecasafe® plus Cargo Trousers with Perforated FR Silver reflective tape. Navy blue Tecasafe® plus 195gsm/ 5.8oz. Two side pockets plus two cargo style pockets and rear patch pocket, all stress points are bar tacked for extra strength.